Between juggling classes and a new relationship and dodging the paparazzi, Gia starts to feel not-so-lucky after all. Saba Kapur is a 22-year-old author, currently living in Melbourne, Australia. 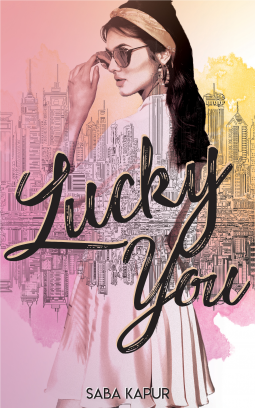 Lucky You is her second novel, and the sequel to Lucky Me, which is an ode to her favourite things: fashion, romance and mystery. In her spare time, Saba enjoys reading, laughing at her own jokes, and pretending she’s Beyoncé. Her parents still won’t buy her a puppy, but she’s working on it.